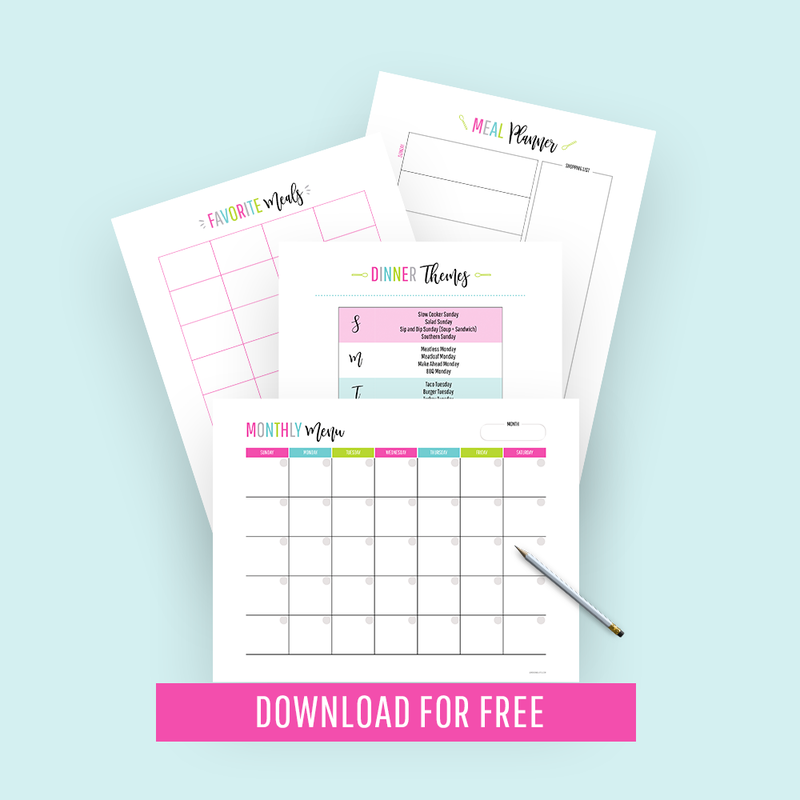 Scroll to the bottom to download your free and simple goal setting worksheet PDF! 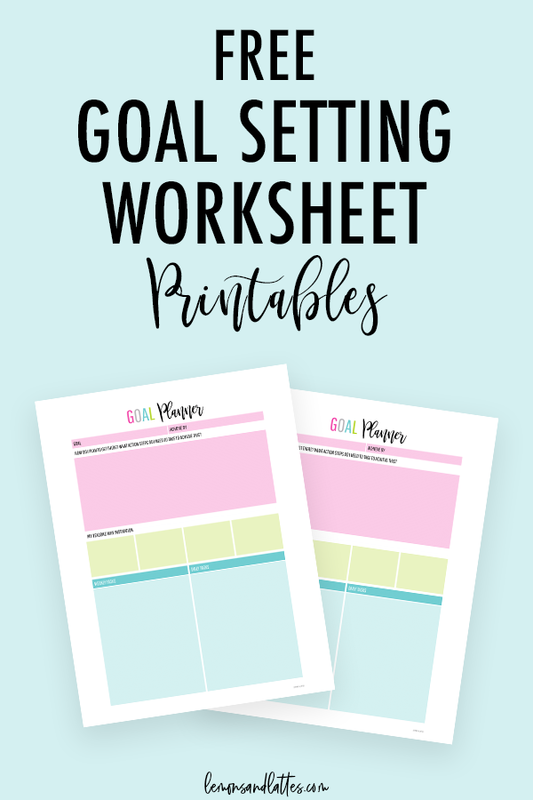 Did you know you are much more likely to follow through with your goals if you write them down on paper and create a plan? 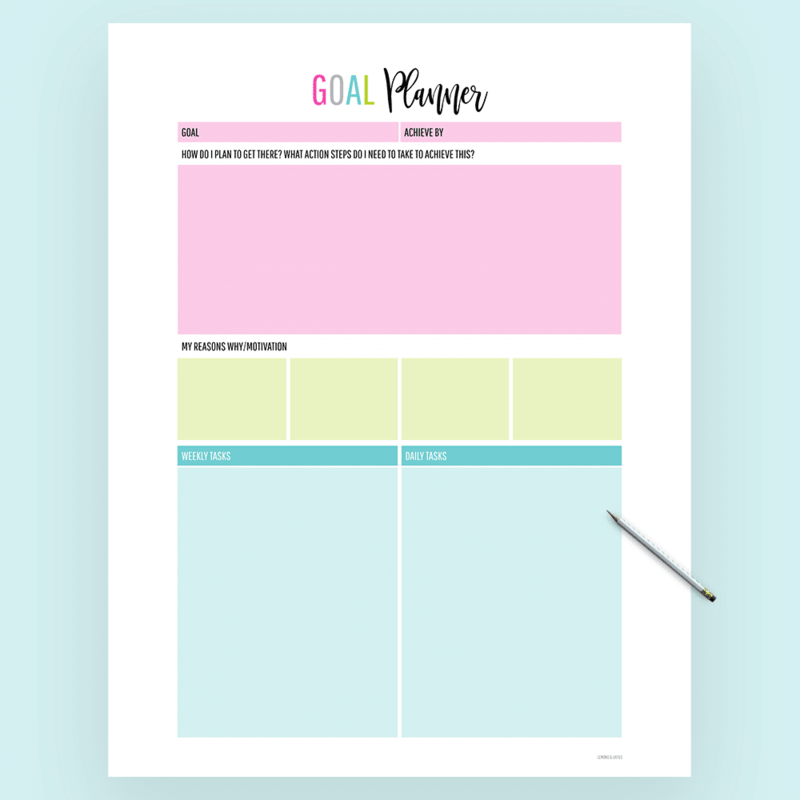 How do you create a goal plan? 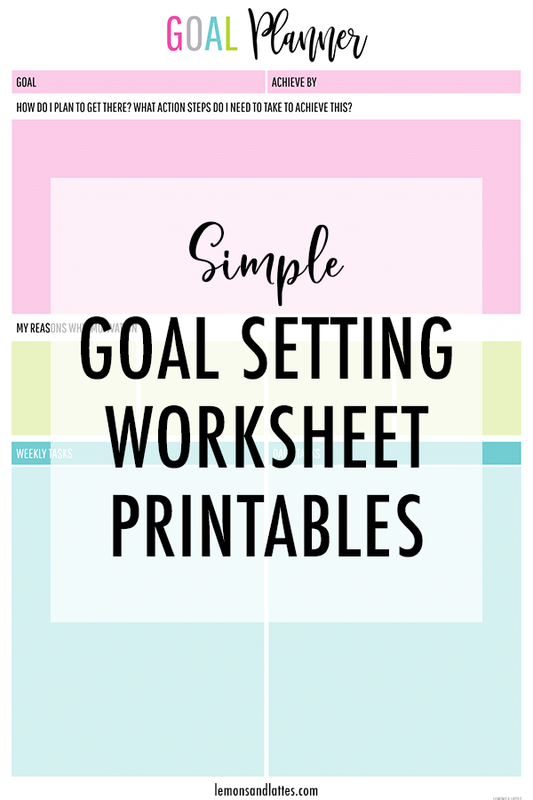 There are a few simple steps you can follow to create a realistic plan for your goals. Step 1: Choose a goal. You’ve got to know where you’re going before you start planning out how you’ll get there, right? The BEST goals are S.M.A.R.T. So, instead of saying you want to lose the baby weight, for example, you might say you want to lose 10 lbs. in the next 2 1/2 months. I’m a big fan of giving your goals deadlines! I’ve found that if I don’t set one for myself, I’ll take my sweet time and stretch it out for as long as possible. Having a date in mind helps you stay motivated and on track. Why do you want to achieve this particular goal? How will you feel once you’ve accomplished it? These are the things that will keep you going when your motivation is running thin! What weekly tasks do you need to know in order to make this happen? What specific steps do you need to take every single day? One of my favorite books, The Compound Effect, talks about the importance of consistency when it comes to being successful and reaching your goals. Showing up and doing those small steps every single day– every week– That’s the secret sauce to crushing your goals. Once you’ve broken down your goals into smaller action steps, add these small tasks to your planner and make them non-negotiable!